Education watchdog Ofsted has launched an investigation after revealing children in the West Midlands are being failed by their secondary schools. 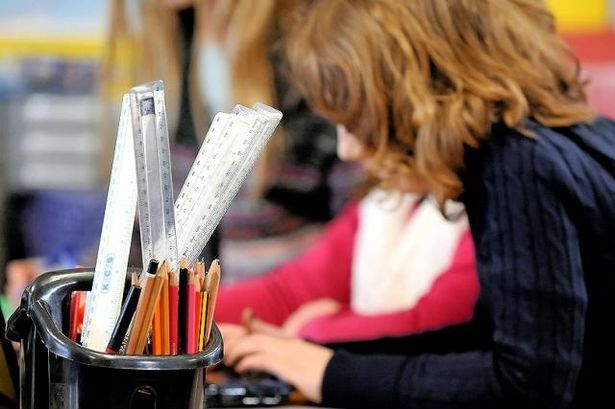 A study, to be published next year, has been commissioned after a damning report released this week by Ofsted highlighted the shocking state of the region&apos;s education and social care system over the last academic year. Weak leadership from head teachers, governors and middle managers - coupled with "low-level" disruption by unruly pupils in classrooms - are being blamed by Ofsted for a poor performance at the region&apos;s secondary schools. The report reveals that primary schools are excelling - producing higher numbers of pupils reaching their potential by the age of 11. However, as soon as they get to secondary school, standards in maths and literacy either stagnated or slipped among pupils in Years 7 to 9, said Angela Westington, senior Ofsted inspector for the West Midlands. "Primary schools are steaming ahead and doing well, but we are finding that in the first three years of secondary school children are no longer progressing in maths, reading and writing and in some cases they are actually declining," she added. "The 11 to 14 year old age group is our biggest concern. If I were a parent I would be asking how are these three years are being organised, is my child treading water?" Ofsted has now commissioned a report in a bid to establish why some secondary schools are performing better than others, while schools are being told to re-focus their curriculum so that children are "challenged" and not repeating skills they have already mastered in primary school. Meanwhile, Ms Westington also revealed the five schools at the centre of the Trojan Horse scandal had also been re-inspected in the last two weeks. She said reports on the inspections were due to be published "imminently" but refused to comment on inspectors&apos; findings. The schools were placed in special measures in April following snap inspections by Ofsted as part of the investigation into hard-line Muslims taking control of the schools&apos; governing bodies. Inspections of the schools in September found they had not improved. Now Ofsted&apos;s latest report on education in the West Midlands - penned by chief inspector Sir Michael Wilshaw - also revealed that the watchdog had recruited a new senior inspector purely to tackle problems in Birmingham. The report also attacked Birmingham City Council for the way it had dealt with schools caught up in the scandal and revealed that radicalisation of pupils remained a "key concern". "The council has failed to support a number of schools in their efforts to keep pupils safe from the potential risks of radicalisation and extremism," he said. "In several of the schools inspected, children are being badly prepared for life in modern Britain. "It [the council] has not dealt adequately with complaints from head teachers about the conduct of governors." The comments come as Balwant Bains, the former head teacher of Saltley School at the heart of the Trojan Horse plot, this week claimed he was forced out after a campaign of "emotional harassment" by Muslim governors. The Sikh, who was sent on gardening leave in October last year and eventually quit the job, claims he was pushed out for refusing to stop teaching pupils British values. Bhupinder Kondal, head of Trojan Horse school Oldknow Academy in Small Heath, sensationally quit in January this year - claiming she was driven out by those involved in the plot. She has since been re-instated. Meanwhile, Chris Keates, general secretary of Birmingham-based teaching union NASUWT, said the report raised "important questions" about the role Ofsted had played in maintaining and enhancing the quality of education offered in England&apos;s schools. "Ofsted appears to be focusing its attention to an increasing extent on the quality of leadership and management in schools," she said. "However, the consequence is that this pressure is leading too many school managements to impose workload-intensive and punitive requirements on teachers which are diverting them from focusing on the needs of pupils and do nothing to raise standards." Councillor Brigid Jones, cabinet member for children and family services, said: "It is a shame that the fantastic work of our school children, staff and governors is yet again being tarnished by the continuing focus on the historic actions of a tiny minority. "Our education issues are well known and reviewed and we are working on our action plan to resolve them. "The key now is in building on Birmingham&apos;s many examples of outstanding teaching practice and spreading the excellence across our diverse school system."